The messaging app’s stock is 20 pct below the IPO price. That’s territory its big internet predecessors encountered before roaring back – and beyond. Evan Spiegel’s creation could snap back, but it’s on weaker footing and losing money. A stuffed ghost rests on a trader's screen above the floor of the New York Stock Exchange (NYSE) after Snap Inc. listed their IPO in New York, U.S., March 2, 2017. Snap, the parent company of the Snapchat disappearing-messaging app, closed on Aug. 21 at $13.58, 20 percent below the IPO price of $17. 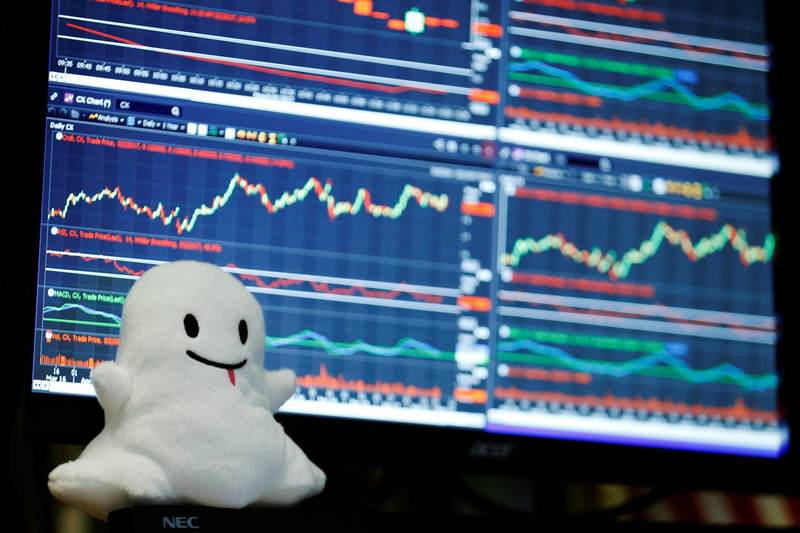 Snap went public on the New York Stock Exchange on March 2.